Onwukwe, C., Maisha, N., Holland, M., Varley, M., Groynom, R., Hickman, D., Uppal, N., Shoffstall, A., Ustin, J. and Lavik, E., Engineering Intravenously Administered Nanoparticles to Reduce Infusion Reaction and Stop Bleeding in a Large Animal Model of Trauma. Bioconjug Chem. 2018. Fernandez-Moure, J., Maisha, N., Lavik, E. B. and Cannon, J., The chemistry of lyophilized blood products. Bioconjug Chem. 2018. Hubbard, W. B., Greenberg, S., Norris, C., Eck, J., Lavik, E. and VandeVord, P., Distinguishing the Unique Neuropathological Profile of Blast Polytrauma. Oxidative Medicine and Cellular Longevity, 2017: p. 11. 2017.
van Hest, J., Lavik, E. B., Smith, B. D., Zheng, G. and Rotello, V. M., Science in a Global Community. Bioconjug Chem, 28(2): p. 279-281. 2017. Lavik, E., Kuehn, M. H., Shoffstall, A., Atkins, K., Dumitrescu, A. V. and Kwon, Y. H., Sustained Delivery of Timolol Maleate for over 90 days via Subconjunctival Injection. Journal of Ocular Pharmacology and Therapeutics. accepted. Lashof-Sullivan, M., Holland, M., Groynom, R., Campbell, D., Soffstall, A. and Lavik, E. B., Hemostatic Nanoparticles Improve Survival Following Blunt Trauma Even after 1 Week Incubation at 50 degrees C. ACS Biomaterials Science & Engineering. 2016. Szeto, G. L. and Lavik, E., Materials design at the interface of nanoparticles and innate immunity. Journal of Materials Chemistry B. 2016.
van Hest, J., Lavik, E. B., Smith, B. D., Zheng, G. and Rotello, V., Editorial. Bioconjug Chem, 27(1): p. 1-2. 2016. R. Groynom, L. Wu, E. Shoffstall, and E.B. Lavik. Controlled release of photoswitch drugs by PLGA microsphere encapsulation, Journal of Drug Targeting, 4(4): p. 387-391. 2015. Hubbard, WB, Lashof-Sullivan, M, Sajja, VS, Lavik, E, and VandeVord, P. Addition of Dexamethasone to Hemostatic Nanoparticles Combats Pulmonary Hemorrhaging after Primary Blast Lung Injury, ACS Macro Letters, accepted. Ssuneki, M., Hardee, S., Michaud, M., Morotti, R., Lavik, E., Madri, J. A Hydrogel-Endothelial Cell implant Mimics Infantile Hemangioma: Modulation by Survivin and the Hippo pathway, Laboratory Investigation, 2015. Sethi, R., Sethi, R., Redmond, A. and Lavik, E. B., Olfactory Ensheathing Cells Promote Differentiation of Neural Stem Cells and Robust Neurite Extension, Stem Cells Reviews and Reports, in press. van Hest, J., Lavik, E. B., Smith, B. D., Zheng, G. and Rotello, V., Editorial. Bioconjug Chem. 2015. Lashof-Sullivan, Shoffstall, E., Atkins, K., Keane, N., Bir, C., VandeVord, P., Lavik, E. Intravenously Administered Nanoparticles Increase Survival Following Blast Trauma. Proceedings of the National Academy of Sciences, in press. Hubbard, WB, Hall, C, Sajja, VS, Lavik, E, and VandeVord, P. Examining lethality risk for rodent studies of primary blast lung injury. Biomed Sci Instrum. 2014. Lashof-Sullivan, M., Shoffstall, A. and Lavik, E., Intravenous hemostats: challenges in translation to patients. Nanoscale, 5(22): p. 10719-28. 2013. Shoffstall, A. J., Everhart, L. M., Varley, M. E., Soehnlen, E. S., Shick, A. M., Ustin, J. S. and Lavik, E. B., Tuning Ligand Density on Intravenous Hemostatic Nanoparticles Dramatically Increases Survival Following Blunt Trauma. Biomacromolecules. 2013. Hertz, J., Robinson, R., Valenzuela, D. A., Lavik, E. B. and Goldberg, J. L., A tunable synthetic hydrogel system for culture of retinal ganglion cells and amacrine cells. Acta Biomater, 9(8): p. 7622-9. 2013. Kador, K. E., Montero, R. B., Venugopalan, P., Hertz, J., Zindell, A. N., Valenzuela, D. A., Uddin, M. S., Lavik, E. B., Muller, K. J., Andreopoulos, F. M. and Goldberg, J. L., Tissue engineering the retinal ganglion cell nerve fiber layer. Biomaterials, 34(17): p. 4242-50. 2013. Williams, C., Rauch, M., Michaud, M., Robinson, R., Xu, H., Madri, J. A. and Lavik, E. B., Neural Progenitor Cells Modify the In Vivo Formation of Engineered Vascular Networks. PLOS One. In press. Shoffstall, A. J., Atkins, K. T., Groynom, R. E., Varley, M. E., Everhart, L. M., Lashof-Sullivan, M. M., Martyn-Dow, B., Butler, R. S., Ustin, J. S. and Lavik, E. B., Intravenous hemostatic nanoparticles increase survival following blunt trauma injury. Biomacromolecules, 13(11): p. 3850-7. 2012. Lavik, E. and Ustin, J., Medicine. Leveraging shear stress to bust clots with nanoparticles. Science, 337(6095): p. 658-9. 2012. Lavik, E., Bioengineering approaches to nervous system repair. Neurosci Lett, 519(2): p. 85-6. 2012. Lavik, E. B., Kuppermann, B. D. and Humayun, M. S., Drug Delivery, in Retina, S. J. Ryan, Editor. in press. Shoffstall, A. J., Taylor, D. M. and Lavik, E. B., Engineering therapies in the CNS: what works and what can be translated. Neurosci Lett, 519(2): p. 147-54. 2012. 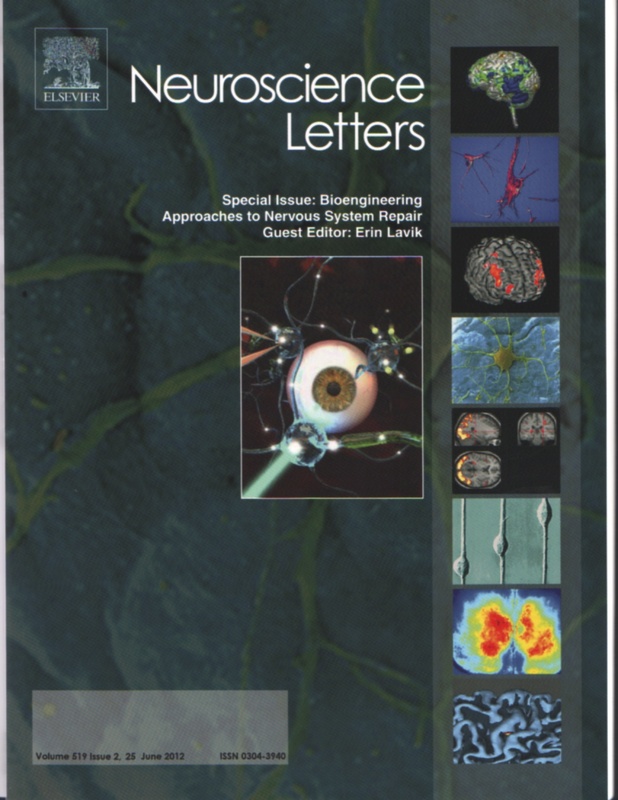 Lavik, E. B., Neural Tissue Engineering, in Biomaterials for Tissue Engineering: A Review of the Past and Future Trends, J. A. Burdick and R. L. Mauck, Editors. 2011, Springer-Wien: New York. Lavik, E. B. and Madri, J. A., Angiogenesis, the neurovascular niche and neuronal reintegration after Injury, in Therapeutic angiogenesis for vascular diseases: Molecular mechanisms and targeted clinical approaches for the treatment of angiogenic disease, M. Slevin, Editor. 2010, Springer: London. Bertram, J., Rauch, M. F., Chang, K. and Lavik, E. B., Using polymer chemistry to modulate the delivery of neurotrophic factors from degradable microspheres: Delivery of BDNF. Pharmaceutical Research, 2010. R. Robinson, J. Bertram, J. L. Reiter and E. B. Lavik, New platform for controlled and sustained delivery of EGFR tyrosine kinase inhibitors using PLGA microspheres. Journal of Microencapsulation, 2010. Bertram, J., Williams, C., Robinson, R., Segal, S. S., Flynn, N. T. and Lavik, E., Intravenous Hemostat: Nanotechnology to Halt Bleeding. Science Translational Medicine, 1(11). 2009. C. Williams and E. Lavik, Engineering the CNS stem cell microenvironment. Regenerative Medicine, 4 (6) 865-77. 2009. M. Kyhn, H. Klassen, U. Johansson, K. Warfvinge, E. Lavik, J. Kiilgaard, J. Prause, E. Scherfig, M. Young and M. la Cour, Delayed administration of glial cell line-derived neurotrophic factor (GDNF) protects retinal ganglion cells in a pig model of acute retinal ischemia. Experimental Eye Research, epub. 2009. J. Bertram, S. M. Jay, S. R. Hynes, R. Robinson and E. B. Lavik, Functionalized poly(lactic-co-glycolic acid): a versatile biomaterial for drug delivery and tissue engineering without compromising biocompatibility. Acta Biomat., 5(8) 2860-71. 2009. Rauch, M. F., Hynes, S. R., Bertram, J., Redmond, A., Robinson, R., Williams, C., Xu, H., Madri, J. A. and Lavik, E. B., Engineering angiogenesis following spinal cord injury: A coculture of neural progenitor and endothelial cells in a degradable polymer implant leads to an increase in vessel density and formation of the blood-spinal cord barrier. European Journal of Neuroscience, 29(1): p. 132-145. 2009. Tzeng, S., Nkansah, M., Holdt, A. M. and Lavik, E., Sustained delivery of CNTF from polymer nano- and microspheres for neural differentiation and neuroprotection. Biotechnology and Bioengineering, 100(5): p. 1010-1019. 2008. Hynes, S. R., Rauch, M. F., Bertram, J. and Lavik, E. B. A library of tunable poly(ethylene glycol)/poly-L-lysine hydrogels to investigate the materials cues that influence neural stem cell differentiation. Journal of Biomedical Materials Research Part A, epub 2008. Rauch, M. F., Michaud, M., Xu, H., Madri, J. A. and Lavik, E. B., Coculture of primary neural progenitor and endothelial cells in a synthetic, degradable macroporous gel promotes stable vascular networks in vivo. Journal of Biomaterials Science-Polymer Edition, 19(11): p. 1469-1485. 2008. Ng, T. F., Lavik, E., Keino, H., Taylor, A. W., Langer, R. S. and Young, M. J. Creating an immune-privileged site using retinal progenitor cells and biodegradable polymers. Stem Cells 25: 1552-1559, 2007. Hynes, S. R., McGregor, L. and Lavik, E. B. Photopolymerizable hydrogels for neural tissue engineering. Journal of Biomedical Materials Science: Polymer Edition 18: 1017-1030, 2007. Ward, M. S., Khoobehi, A., Lavik, E. B., Langer, R. and Young, M. J. Neuroprotection of retinal ganglion cells in DBA/2J mice with GDNF-loaded biodegradable microspheres. Journal of Pharmaceutical Sciences 96: 558-568, 2007. Talbott, J. F., Cao, Q. L., Bertram, J., Nkansah, M., Benton, R. L., Lavik, E. and Whittemore, S. R. CNTF promotes the survival and differentiation of adult spinal cord-derived oligodendrocyte precursor cells in vitro but fails to promote remyelination in vivo. Experimental Neurology 204: 485-489, 2007. Li, Q., Ford, M. C., Lavik, E. B. and Madri, J. A. Modeling the neurovascular niche: VEGF and BDNF-mediated cross-talk between neural stem cells and endothelial cells: An in vitro study. Journal of Neuroscience Research 84: 1656-1668, 2006. Ford, M. C., Bertram, J. P., Hynes, S. R., Michaud, M., Li, Q., Young, M., Segal, S. S., Madri, J. A. and Lavik, E. B. A macroporous hydrogel for the co-culture of neural progenitor and endothelial cells to form functional vascular networks in vivo. Proceedings of the National Academy of Sciences of the United States of America, 103: 2512-2517, 2006. Lavik, E. and Langer, R. Nerve Regeneration. In: P. X. Ma and J. H. Elisseeff, eds. Scaffolding in Tissue Engineering. Boca Raton, FL: Taylor&Francis, 2005. Tomita, M., Lavik, E., Klassen, H., Zahir, T., Langer, R., Young, M.J. Biodegradable polymer composite grafts promote the survival and differentiation of retinal progenitor cells. Stem Cells, 23: 1579-1588, 2005. Anderson, D.G., Putnam, D., Lavik, E. B., Mahmood, T., and Langer, R. Biomaterial Microarrays: Rapid, Microscale Screening of Polymer-Cell Interaction. Biomaterials, 26: 4892-4897, 2005. Warfvinge, K., Kiilgaard, J.F., Lavik, E., Scherfig, E., Langer, R., Klassen, H., Young, M. J. Retinal progenitor cell xenografts to the pig retina: morphological integration and cytochemical differentiation. Archives of Ophthalmology, 123: 1385-1393, 2005. Lavik, E. B., Klassen, H., Warfvinge, K., Langer, R. Young, M. J. Fabrication of a Novel Degradable Polymer Scaffold to Direct the Integration and Differentiation of Retinal Progenitors in Models of Retinal Degeneration. Biomaterials, 26: 3187-3196, 2005. Lavik, E. B., and Langer, R. S. Tissue Engineering: Current State and Perspectives, Applied Microbiology and Biotechnology, 65: 1-8, 2004. Levenberg, S. Huang, N. F., Lavik, E. B., Rogers, A. Itskovitz-Eldor, J. and Langer, R. Engineering Three-Dimensional Tissue Structures Using Differentiating Human Embryonic Stem Cells, Proc. Nat. Acad. Sci. 100: 12741-12746, 2003. Teng, Y. D. *, Lavik, E. B. *, Qu, X., Park, K. I., Ourednik, J., Zurakowski, D., Langer, R., Snyder, E. Y. Functional Recovery Following Traumatic Spinal Cord Injury Mediated by a Unique Polymer Scaffold Seeded with Neural Stem Cells, Proc. Nat. Acad. Sci. 99: 3024-3029, 2002. *co-first authors. Lavik, E. B., Teng, Y. D., Snyder, E. Y., Langer, R. Seeding Neural Stem Cells on Scaffolds of PGA, PLA and Their Copolymers in Methods in Molecular Medicine, Neural Stem Cells: Methods and Protocols, 2001. Lavik, E. B., Hrkach, J. S., Lotan, N., Nazarov, R. Langer, R. A Simple Synthetic Route to the Formation of a Block Copolymer of Poly(lactic-co-glycolic acid) and Polylysine for the Fabrication of Functionalized, Degradable Structures for Biomedical Applications, J. of Biomed. Mat. Res. 58: 291-294, 2001. Chiang, Y. -M., Lavik, E. B., Kosacki, I, Tuller, H. L. and Ying, J. Y. Nonstoichiometry and Electrical Conductivity of Nanocrystalline CeO2-x, J. Electroceram., 1: 7-14, 1997. Chiang, Y. -M., Lavik, E. B., and Blom, D. A. “Defect Thermodynamics and Electrical Properties of Nanocrystalline Oxides: Pure and Doped CeO2”, Nanostructured Materials, 9: 633-642, 1997. Chiang, Y. -M., Lavik, E. B., Kosacki, I., Tuller, H. L., and Ying, J. Y. Defect and Transport Properties of Nanocrystalline CeO2-x. Appl. Phys. Lett. 69 185-187, 1996.